What is the cost to attend the festival? Admission to the Annual National Shrimp Festival is FREE to everyone. ​When is the Annual National Shrimp Festival? 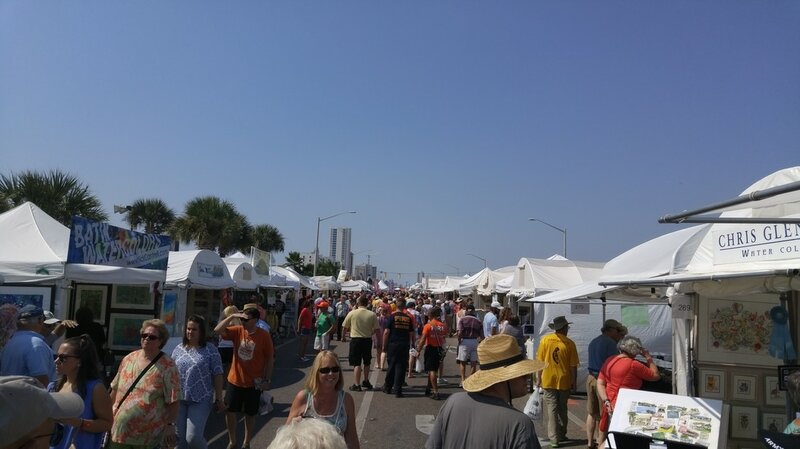 The Annual National Shrimp Festival is always held the 2nd full weekend in October. The festival is always Thursday through Sunday. ​Parking is first come, first serve basis at and around the festival site. The festival site is surrounded by privately owned businesses and private residential houses/condos. These owners control the parking and parking fees on their property, not the Alabama Gulf Coast Chamber, Annual National Shrimp Festival, or the City of Gulf Shores. We strongly recommend festival attendees take advantage of the B.R.A.T.S shuttle service. For a list of shuttle pick ups and drop-offs, please click here. When did the Annual National Shrimp Festival start? The Annual National Shrimp Festival was started in 1971. Please click here for more information on our history. Why was the Annual National Shrimp Festival created? The event began as a way to keep the tourist at the beach after Labor Day, which was traditionally the end to the season and their departure time. ​Animals are not allowed on the festival grounds. Where is the festival located at in Gulf Shores, AL? The festival is located and held at the public beach access in Gulf Shores where Hwy. 59 end and intersects with Hwy. 182. How many vendors do you have at the festival? ​Between our Arts & Crafts, Children’s Activity Village, Fine Arts, Food, Retail Marketplace vendor area we have almost 300 vendors. Can I bring a cooler to the festival? ​Absolutely no coolers are allowed inside the festival grounds. Shrimp Festival security will be monitoring this. Can I pass out information at the festival? ​Pamphleteering is not allowed. Only National Shrimp Festival Sponsors have the exclusive right to distribute information. Will there be shrimp for sale to eat? ​Absolutely!!! Our food vendors prepare shrimp just about any way you can think. Enjoy!! How can I apply to be an entertainment act? All serious entertainment submissions should come in the form of a press kit. Please click here for information on what we need and how you can send it! What type of photos should I send in if I have to jury for the festival? ​Please click here for requirements for Fine Arts vendors and please click here for requirements for Arts & Crafts vendors? Do food vendors offer more than just shrimp and seafood? ​Yes! Everything from chicken, burgers, pizza, hot dogs, pasta, salads, nachos, and much more is sold by our food vendors. ​We have a wonderful Children’s Activity Village designed specifically for our young festival attendees. This area is open daily from 10am-5pm. We also have a sand sculpture contest on Saturday during the festival. Visit the information booth for time and location.